Conspiracy theorist, broadcaster and film-maker Alex Jones has issued a warning about Lithium being added to the public drinking water. Controversial film-maker, conspiracy theorist and radio host Alex Jones has just issued a warning that he claims is the most important news item of all right now. Jones warns that there are plans to roll out new vaccines that will cause brain damage, and on top of this, the powers that be want to add the dangerous element lithium to the public water supply. I don't agree with everything Alex Jones says but searching online I found plenty of evidence for what he is warning about as being fact. If you thought that fluoride in the public water supply was bad enough now they also want to add lithium too. I have been hoping and praying that fluoride would eventually get removed from our drinking water but now they want to add an equally dangerous poison! I quote Paul Nery, who is a qualified doctor, who has just posted this on my Facebook wall: "Too much lithium can lead to coma, brain damage or death. And the worse cases are not due to acute poisoning, but when people use it chronically." If it was in the daily water supply it would be being consumed chronically! Wikipedia tell us: "Lithium intoxication affects the central nervous system and renal system and is potentially lethal." This dangerous substance is used as lithium carbonate to treat manic depression and bipolar disorder and it is known to have its risks. I don't have these conditions, and even if I did and took the medication I wouldn't want more of it in my drinking water, would you? 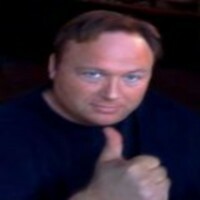 Alex Jones informs us that viruses have been specially created to target specific areas of the brain and destroy them. This is bio-weaponry of a most covert and sinister form. Bioweaponry aimed at the population at large! Jones points out that the purposes of these vaccinations and lithium in the water supply is to make docile "sheeple", who can be easily controlled as part of the New World order plan. I believe he is right in saying this issue is far more important than any other news item more important than Mel Gibson, or Lindsay Lohan and more important even than the war in Iraq! What right do scientists, psychiatrists and governments have to play God and impose forced medication on the populations of the world? How can anyone say there is no conspiracy to kill and harm the world's populations in the light of this news? This is like something straight out of the pages of Aldous Huxley'sBrave New World. Drinking water which contains the element lithium may reduce the risk of suicide, a Japanese study suggests. Doping Journal News article: New research finds that the common arguments against the development of cognitive enhancers are misguided? A large segment of the public doesn't mind the label "conspiracy theorist" because if they did then Alex Jones and David Icke wouldn't have many fans and both have an ever-growing number! Thanks for commenting! In NW Montana where we lived, there was a great radio station called "The Edge" (shut down "coincidentally") which had enlightening/important programming all day long (alternative health, etc), including Alex Jones. Like you, I don't agree with everything he states, but I absolutely do believe there are many issues the public should be concerned about that he is brave enough to put out there and expose (but once stamped "conspiracy theorist" the public stops listening). Conspiracy theorist and broadcaster Alex Jones is famous for using a megaphone but many other activists and rock singers too find it gets results. Benjamin Fulford is an outspoken conspiracy theorist, author and former writer for Forbes magazine. He lives in Japan and has had a lot to say about the Fukushima disaster.